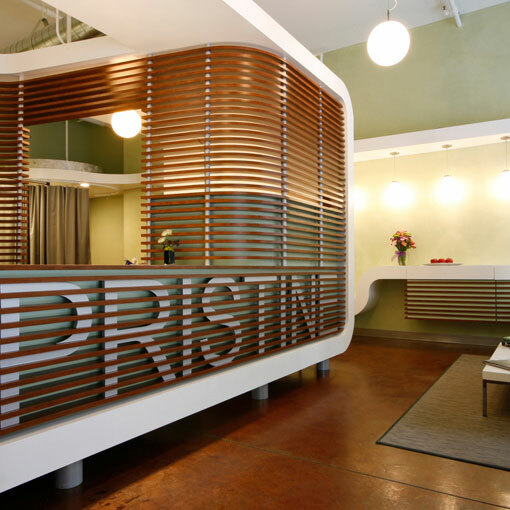 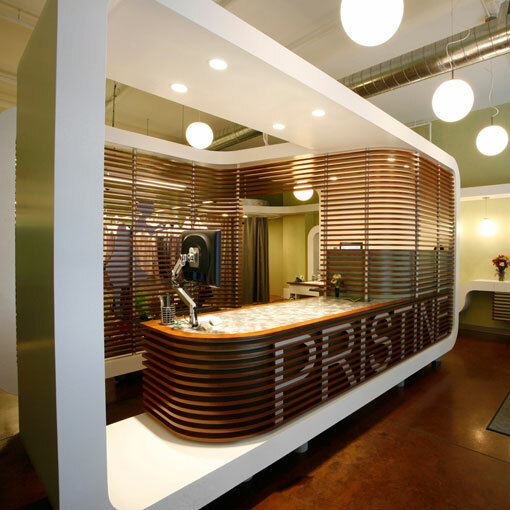 Our clients at Pristine wanted this small space to represent a departure from your conventional dry cleaning experience. 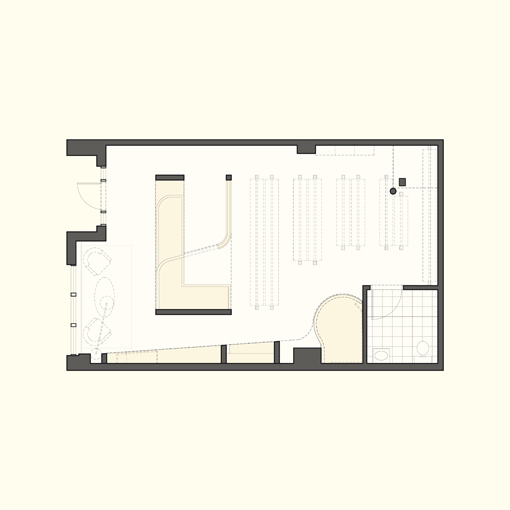 Based on this requirement, the JZA+D design inserts a white central feature in the space that unites and separates each of the functional elements of the project. 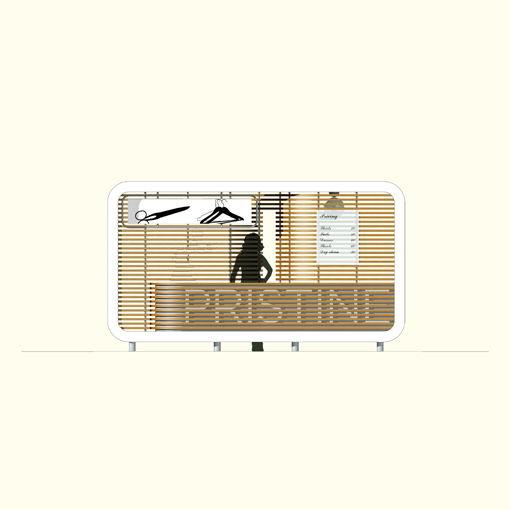 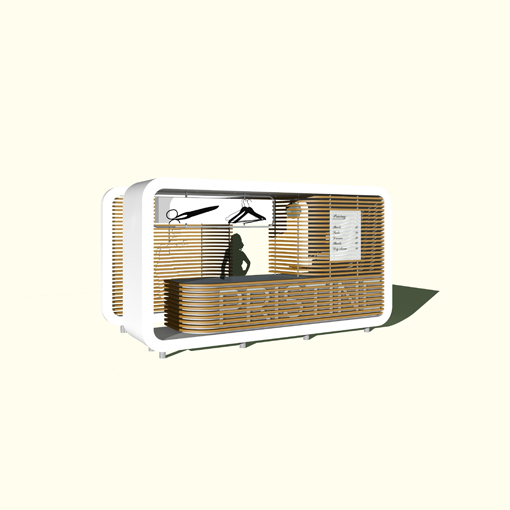 Since this element needed to house reception and a work station, operated by one person; it needed to be small, efficient and provide different levels of transparency to maximize screening of the clothing racks and allow for views out and through the space. 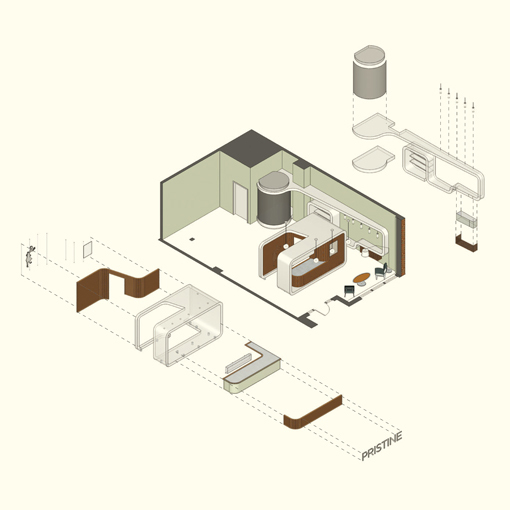 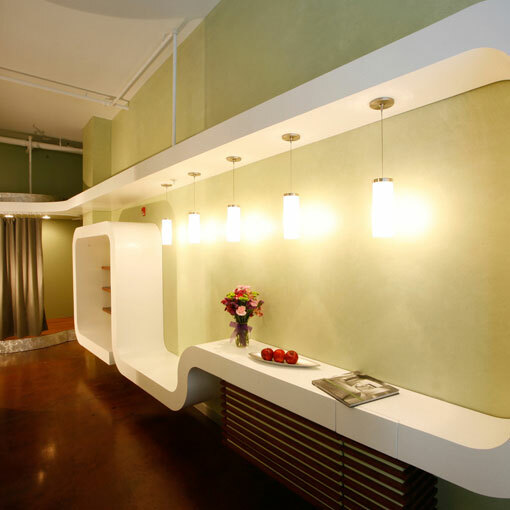 In addition, a complimentary curvilinear wall feature completes the functional needs of the space by housing storage areas and a changing room. 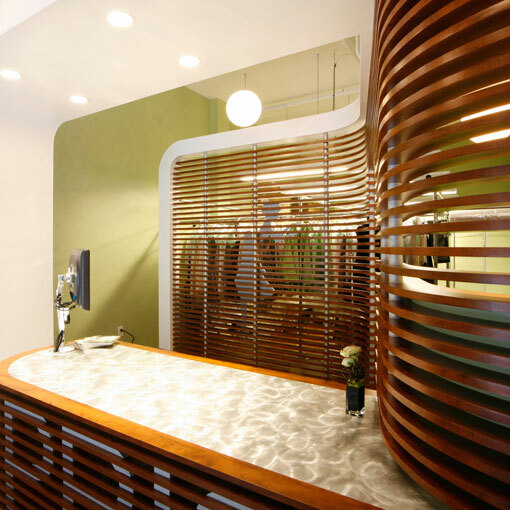 The final product utilizes a simple palette of sustainable materials in warm wood and earth tones framed within each of these white curvilinear elements, creating a new kind of dry-cleaning experience.